Let nickpc manage your daily website operations with long term support. Tailored, fully-managed, enterprise level hosting available. 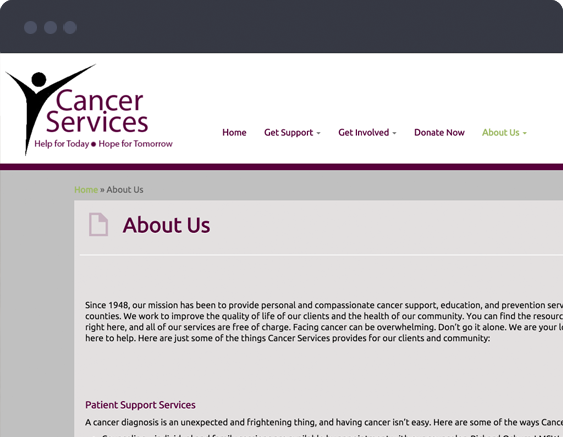 Cancer Services had a website that wasn’t user friendly, impossible to manage and used outdated technologies. Without any support the website became abandoned. nickpc took control over the daily website operations, content and hosting management, and development. 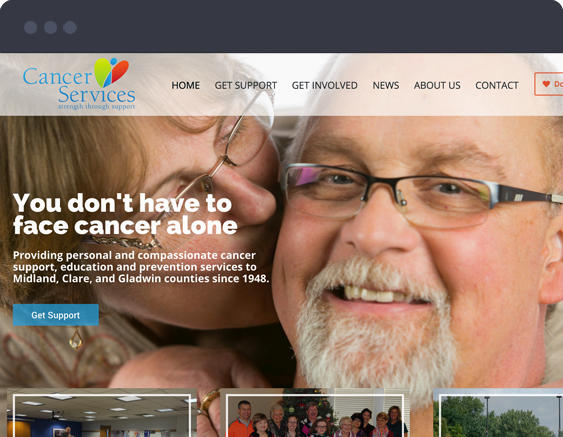 Now Cancer Services can focus on what they do best, helping those in need. nickpc took my vision for our union website and made it reality. They have proven to be a continued asset since the site was launched and is a wonderful tech tutor who enabled me to manage and update the site myself. I highly recommend Nick to anyone who seeks a world class website designer. I have had the pleasure to work with nickpc recently to upgrade and rebuild my previous website. He is professional, fast, helpful and quick to respond. I would recommend nickpc for all of your website building, re-facing, updating and maintenance needs. Let him turn your most important marketing tool into something professional and noticeable. Working with Nick was an absolute delight, and I recommend him in a heartbeat. Patient, personable, flexible, funny and ready to put up with my inconsistencies, it is rare to find these qualities in someone who also does such stellar work. Not only did he understand my ideas and put them into action, he also introduced elements to my website that I would not have even thought to do. I’m so glad we found nickpc. He’s one of the best designers and wordpress people I’ve ever worked with. This project wasn’t easy, it was a complete redesign of our corporate website and I gave him very little to go on other than the existing site. They were able to have us completely launch our new branding and our new site on time and on budget. And he’s our “go to” and designer from herein. nickpc reached us at a time where we were so uninvolved, hurt, and sickened by our current web developers. Nick spent endless hours emailing and making phone calls to my team making sure we were constantly apart of this process. Their care and concern for other companies shines every time he contacts you! This process felt safe, calm, supported, and almost effortless. You need to look no further, you found the best web developer! We’re nickpc, a studio located in Houston, Texas. We pride ourselves on developing unique and professional solutions tailored to your specific needs. Let us manage your site from now on so you can get back to doing what you do best, running your business.